On the 5th of March 2015 American Chamber of Commerce hosted the round table on the improvement of environmental permitting procedures in oil and gas industry. The participants of the round table underlined the urgency of approving the procedure for waste permit issuance as well as further improvement of environmental permitting procedures, in particular, by introduction of e-government tools. «During the last ten months Ukraine does not have functional waste permits issuance procedure, and this regulatory gap, clearly, complicates the companies’ business operations and the functioning of the state authorities – departments of ecology and natural resources of the regional state administrations», – stated Kyryl Tomlyak, director of LLC KT-Energy, while opening the meeting. 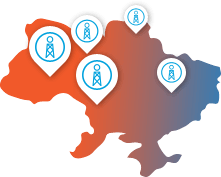 «The waste permit issuing procedure is currently a top priority, however other environmental permitting procedures also need to be updated, in particular, by introducing the option of electronic permit applications», – commented Mykola Shlapak, the consultant of Unconventional Gas in Ukraine project. According to Oleksandr Semenets, the deputy director of the Department of Permitting and Licensing and Regulatory Policy at the Ministry of Environment and Natural Resources, the draft procedure for waste permits issuance was developed on time and was sent to the relevant state authorities for gathering comments and approvals back in May, 2014. However, the approval process has been delayed and due to the appointment of the new Cabinet of Ministers of Ukraine on 17 of January, 2015 the draft procedure was sent for a new round of comments and approvals gathering. «As for now, we have received the approvals from 3 relevant state authorities and still waiting for receiving the approvals from 3 other state authorities», – commented Oleksandr Semenets. After receiving all the approvals the draft of the resolution of the Cabinet of Ministers of Ukraine approving waste permits issuance procedure should also pass the legal due diligence by Ministry of Justice of Ukraine and also expert and legal due diligence by the Secretariat of Cabinet of Ministers of Ukraine. Vitaliy Makovskyi, the Head of the Permitting System unit of the Deregulation and Business Activity Development Department of the Ministry of Economic Development and Trade of Ukraine, presented the achievements in deregulation and permitting system improvement, including introduction of electronic documents exchange practices. «The basis for electronic documents use during permitting procedures and electronic applications was established by the Law of Ukraine №1252, which was adopted in May, 2014. These provisions will be also incorporated in the amendments of specific laws covering different permit requirements during future imrovements of permitting system legislation», – stated Vitaliy Makovskyi. Vitaliy Makovskyi also mentioned that after entering into force the Law of Ukraine №1580 adopted by the Parliament the permitting centers will be eliminated and their functions will be transferred to the centers providing administrative services. However, this will not impact the permitting procedures from the perspective of applying companies. Ministry of Economic Development and Trade of Ukraine in cooperation with the State Agency of Electronic Governance of Ukraine developed a plan of electronic administrative services introduction. The list of priority administrative services for the introduction in electronic form, which also includes environmental permitting documents, was developed and presented for public discussion. «Introduction of electronic services will allow reducing the role of human factor during provision of administrative services and modernising permitting procedures», – stated Egor Stefanovych, the Head of Information Technology Department of the Ministry of Economic Development and Trade of Ukraine. «The introduction of electronic system for the interaction and coordination between different state authorities and the operation of the administrative services portal, which will combine all electronic administrative services and allow companies to track the application process progress online, will be an important elements of such modernization», – added Egor Stefanovych. 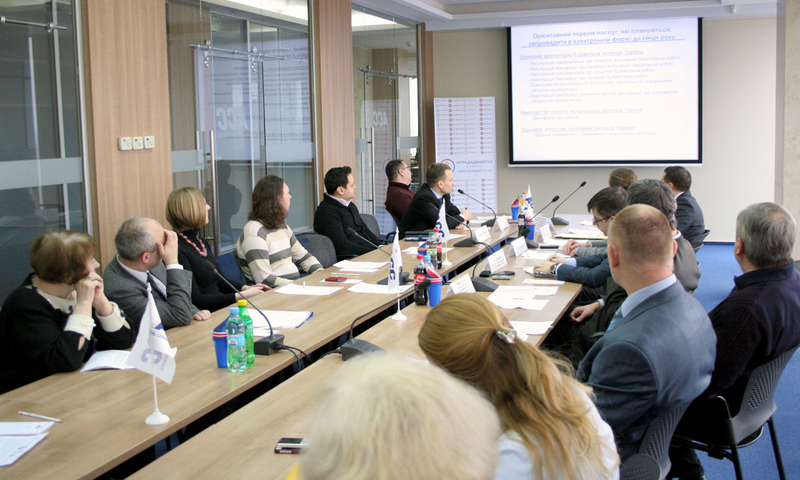 Danylo Molchanov presented the work of the State Agency of Electronic Governance of Ukraine with respect to the development of electronic system for handling waste permitting procedures. «The submission of the declaration on waste will be a pilot project in the area of electronic environmental permitting procedures development», – stated Danylo Molchanov. «Electronic system will incrеase the transparency of the waste declaration submission procedure, allow the submission of declaration during any time of the day or week and tracking the progress of declaration registration, as well as improve the acssessibility of the waste declaration archive. In the future the electronic system could be scaled up and will also include the option for the submission of the waste permit application online» , – stated Danylo Molchanov. The first step for the implementation of such electronic system will be the approval of the waste permit application procedure, which includes the option of electronic submission of waste declarations. In the nearest future the electronic system will be tested by departments of ecology and natural resources of several regional state administrations. After that, the system will be rolled out troughout Ukraine. The round table was organized by LLC KT-Energy within Unconventional Gas Institute Project run by Shell Exploration and Production Ukraine Investments (IV) B.V. together with British Council Ukraine.